One nation, hundreds of cultures, thousands of communities, millions of people, and limitless stories. Inspiring Richmond to welcome our future. Richmond’s Canada 150 ignites the passions of the citizens of Richmond in a multi-faceted, year-long celebration, honours Richmond’s distinct and vibrant cultural diversity, and leaves lasting legacies that foster civic pride and carry the spirit of 150 into the future. 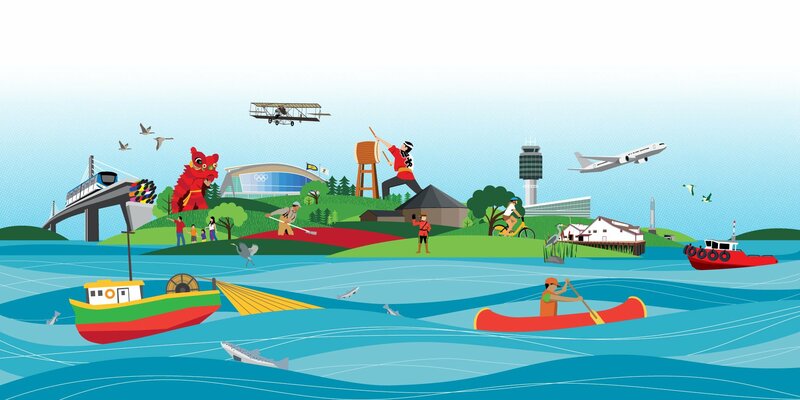 Join us in 2017 for a year-long celebration of Richmond Canada 150 with signature Major Events, exciting Community Celebrations and to build new legacies!